I've been trying to stop buying frozen meals and actually making healthy options and recipes that I find on Pinterest. As much as I hate cleaning up the mess, it's proven to be freakin' delicious every time. 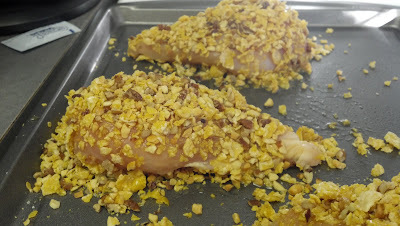 On the menu tonight: Honey Pecan Crusted Chicken. It's a SUPER easy recipe that only calls for chicken, honey, mustard, paprika, garlic powder, corn or frosted flakes, and pecans or any nuts of your choosing! 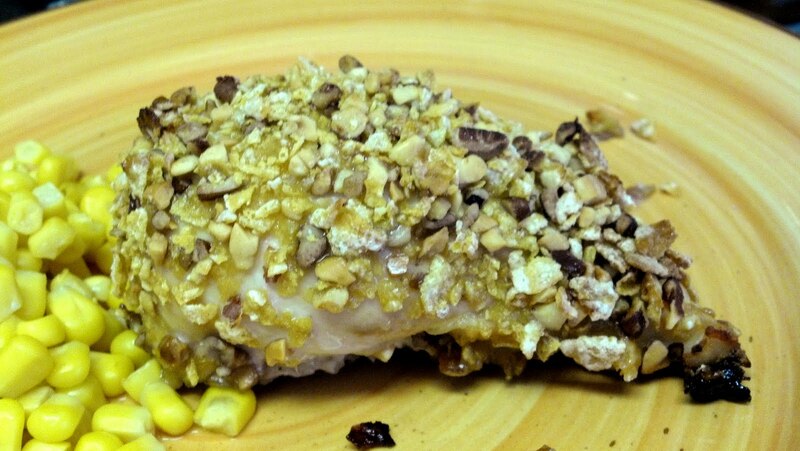 Click here for the pin/recipe [and a way better picture]!